These Taiwanese students have designed an adaptable splint to aid in medical care during disaster relief efforts. Precariously located in a seismically active zone, Taiwan has seen numerous destructive earthquakes throughout its history. The island’s last major quake in February was the most devastating since 1999. Its death toll added up to 117. 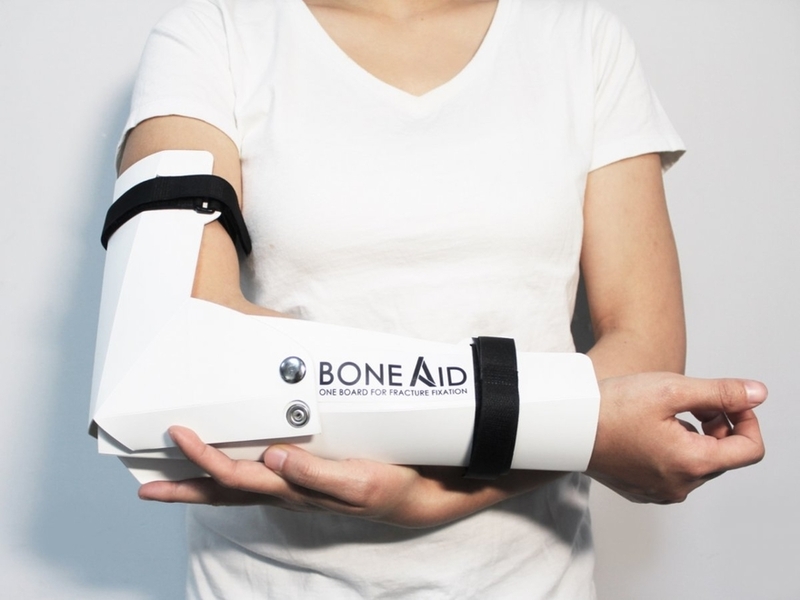 Considered the most deadly of natural disasters because of its tendency to cause broken bones and internal injuries, a team of three students from Tunghai University’s Department of Industrial Design developed a cast to aid in the repair of quake-caused limb fractures. Motivated by the discovery that 50 per cent of injuries sustained during earthquakes are bone fractures, students Wang Yu-Chi, Huang Yu-Man and Chen Chia-Ling set to work designing and developing a device that could nurse multiple types of fractures. While conventional fraction fixation boards are designed to address a single, limb-specific injury, the students decided to combine three kinds of fixation methods into one board making it unusually versatile. A unique folding crease incorporated into the design allows the board to easily fold into the structure that the patient’s injury. It is fitted with easily secured straps and buttons to hold it in place. 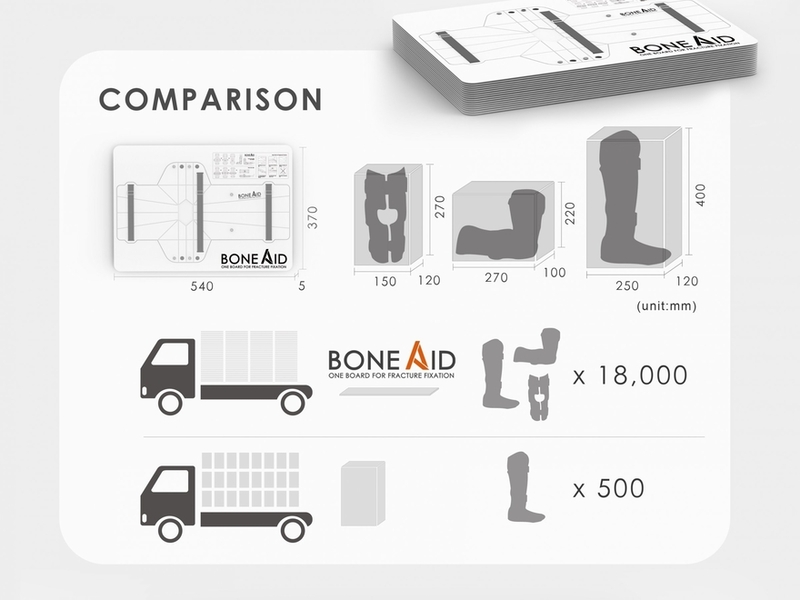 Made from polypropylene – due to its lightweight nature and lower price point – BoneAid is sleek in design. Its simple manufacturing process means it can be cheaply made. Featuring written and illustrated instructions for its assortment of folding methods, it is simple enough for a non-professional to operate. While not yet for sale, the product has been the recipient of widespread attention. Recently selected as one of the Industrial Designers Society of America’s Gold winners at the 2016 IDSA Awards, the novel invention also scooped the Curators Choice Award and a gold medal in the Student Design category at the 2016 International Design Excellence Awards. As for BoneAid’s future, Yu-Chi, Yu-Man and Chia-Ling hope to strike a deal for its mass production. They’ve also expressed a desire to co-operate with international relief organisations in an effort distribute it to areas that need it most.